Welcome to 2018: where going viral means you could quickly get a major record deal. 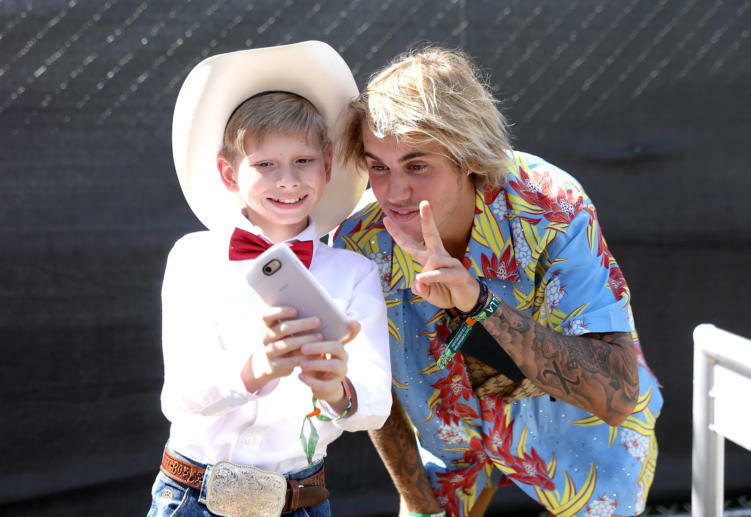 11-year-old Mason Ramsey, better known as the yodeling kid from Walmart, just signed a major label deal with Atlantic Records and Big Loud. Ramsey blew up earlier this year after footage of him performing Hank Williams‘ “Lovesick Blues” at various Walmart’s went ridiculously viral. He has since chatted with Justin Bieber, performed at Coachella, went on Ellen, and now officially released his first single. ‘Famous’ is the first single out from Ramsey via the label deal. If you love country music and the kid’s unique voice, you will dig it. Everyone has their niche… looks like Ramsey found his. The Internet is a crazy crazy place.